Weld, a tall woody stemmed plant, was used in medieval times to produce a yellow colour, or after a second dyeing with woad, green. I’ll get round to woad later, but in the meantime, here’s what I did. I followed the simple instructions given in The medieval Dye pot” by Dee Duke, no. 3 of Woolgathering for dyers and Spinsters. Frankly, I didn’t bother weighing anything because I couldn’t be bothered and figured it would be fun to be a bit random about it. What I did do was alum mordant the wool and let it mature for 3 days beforehand. There were two attempts, first, I boiled some weld with a caustic solution made from lime, for around 45 minutes. The instructions say to let it cool and strain off the dye, and it should be cold before you put the wool in and start heating. One thing is that people didn’t have what we think of as cups or mugs. 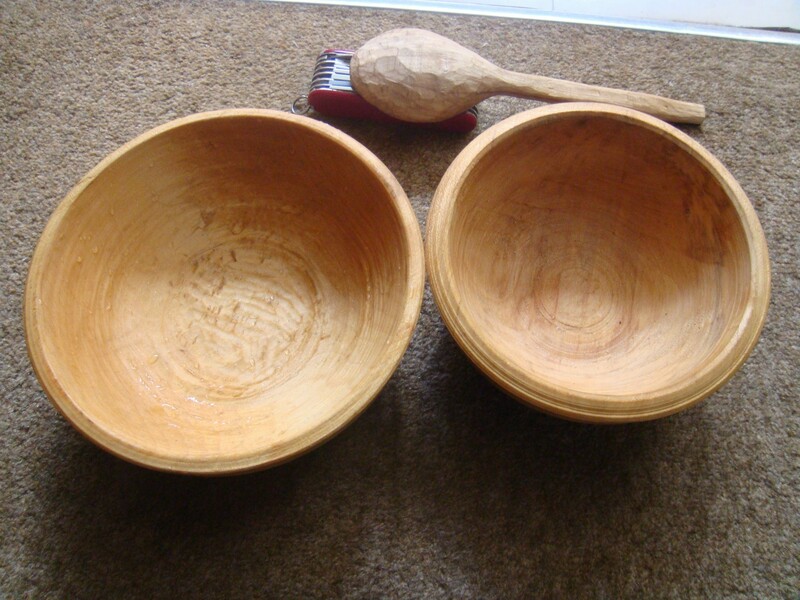 They used wooden bowls instead, and plenty survive in the archaeological record. If ordinary people used cups we would expect to have some evidence for them, but no, there aren’t any, nor are there pottery ones until well into the 14th century. which is a communal drinking bowl larger than mine. if you want some yourself, but hurry, he’s selling out fast and won’t be able to make more until later in the year. The one on the left with the thinner rim can be drunk from. I might thin the rim down a bit more, but it works well enough with your mouth inside or outside the rim. The reason for getting them is upgrading my kit, since I know so much more about the material culture of the early 14th century than I used to, I shall stop using my pottery drinking vessel, a pottle, and use the bowl instead. Apart from bowls, the Perth High street excavations undearthed a number of staves which came from tankard like pots and would have been the right size to use by yourself, so I think I am justified in suggesting that they would have held ale or water. I would get such a vessel, but manufacturers are hard to find and storing them so they stay useable and watertight is hard to do. I wonder how many people I can persuade this season to change to drinking bowls rather than any form of mug or cup, when visiting 1305 or 1314? I am one of hundreds of people who consider it a holiday to dress up as a Tudor and pretend to be living in the 16th century, and carrying out 16th century activities in a way that they would have done. This year I was supposed to be doing and talking about land surveying and improvement, but the slightly more interesting stuff that went on in the evening included helping the potters fire some pottery the old fashioned, but very effective, way. It occured to me, when I had a story idea set in 15th century London, that I needed to know about medieval poisons. Unfortunately finding good information was not very easy, the internet being full of rubbish as usual, and there not apparently being many books on the topic. At first glance, turning to “The Goodman of Paris”, a late 14th century book on how to run a household, is not the best way to start. Fortunately it has a section on poisoning rats and suchlike. Page 139 of the Dover paperback has instructions for a powder to kill wolves or foxes. It contains the root of black Hellebore, dried, powdered, and mixed into it a 5th part of ground glass and a fourth part of lily leaf. You then take honey and fresh fat in equal quantities, mix them with the powder, and make it into a paste and balls the size of a hens egg. These are covered in more fresh fat and laid where the wolves will come and eat them. Or you can scatter the powder onto dead animals that the foxes etc are going to come and eat. What effect might these ingredients have? Hellebore causes tinnitus, vertigo, stupor, thirst, swelling of the tongue and throat, vomiting, slowing of the heart rate and finally collapse and death from cardiac arrest. Sounds bad. Aconite is another plant that is toxic, causing gastrointestinal problems, vomiting and diarhoea, with other symptoms such as sweating, dizziness, difficulty breathing etc. Eventual cause of death is heart arrythms and paralysis of the heart or respiratory centres. Lily leaf – well that all depends on what kind of lily they mean. The Lly of the valley is a common plant in Europe and has toxins all the way through it, which affect the heart the same as the two previous examples. Ground glass was thought of as a poison all the way into the 20th century, but it isn’t really. It might irritate your GI tract, but you, sorry, the animal would have to ingest entire shards of it to cause any possible trouble. There’s no real concept of the dose of the poisons involved, but I expect it would be fairly effective, just not every time and it might depend on how well you mixed it all and how fresh everything was. 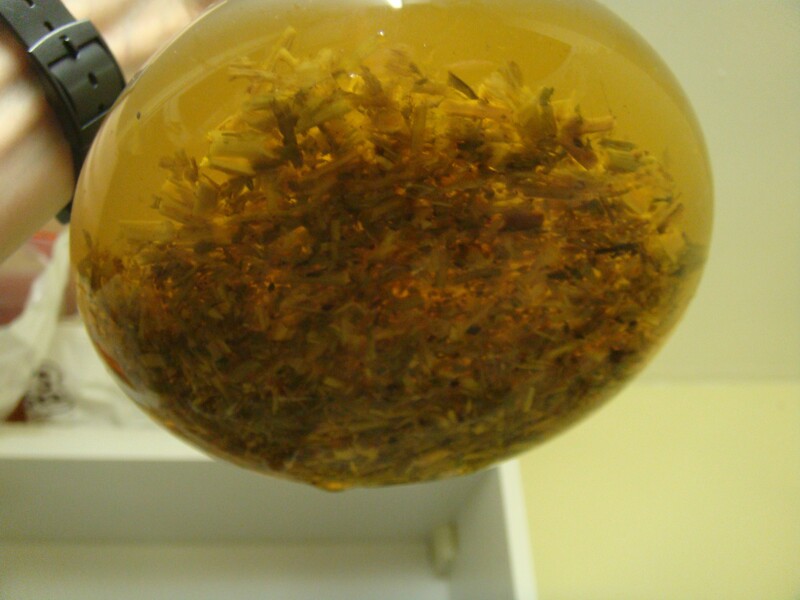 Perhaps the alkaloids are fat soluble, which would surely help with their absorption and transfer to the animal. For rats, you catch them by using cats, or people employed to catch them, or make traps, or finally making cakes out of paste, toasted cheese and aconite and leave them near their holes. You can also cut up sponge small, for them to swallow and then when they drink the sponge is supposed to swell inside them and kill them. Given the dangers of aconite I expect this would be fairly effective, or else make them ill enough that they are easy prey for cats or terriers. Another recipe says take an ounce of aconite, two ounces of fine arsenic, a quarter of pigs fat, a pound of fine whaten meal and four eggs, and make this into a bread which you cook in the oven! Okay, the arsenic will be the sulphide and probably not contaminate the bread oven much, but that is one recipe I’d rather not try. It’s also rather an expensive one, using enough food to feed someone for a day, although it also shows that arsenic was available to buy in big towns, as you would expect given that physicians used it in medicines and alchemists used it in their processes. Examining my copy of “A leechbook or collection of medical recipes of the fifteenth century” by Dawson, I find no obvious poison recipes, as you would expect – a physician was interested in curing illness, not causing it. There are recipes for powders that cure poison or venom, and they follow the usual herbal path. Whilst the author or compiler was aware that arsenic compounds could make the hair fall out, there is a recipe which specifically says it avoids that, using arsenic, lime and other stuff, so it seems they were aware of the dangers of it. But their approach to risk is very clearly not modern, rather more like it was a hundred years ago, something that would require its own blog post to discuss. When we turn to Volume III of Thorndike’s massive history of magic and experimental science, we find an entire chapter on poisons. The important thing to note is that they were thought of as working due to “occult virtue”, i.e. they worked by similarity, by being like something, rather than by chemical or other means. Unfortunately Thorndike doesn’t mention much about the specific poisons used. Now at least there’s some lists there, useful for anyone writing a medieval story, although it would surely help if the poisoner could read or knew a pharmacist. Some of these substances just aren’t dangerous, but as you would expect, there was a lot of hearsay involved; the lists were probably compiled from current stories and old manuscripts. Some of them were known as poisonous in ancient Rome and Greece, and that knowledge was passed down through the writings of Dioscorides and others. So I decided I needed some red ink for writing, as seen in many manuscripts. Of course it turns out that vermillion, that is, mercuric sulphide is a bit toxic, as is red lead, which is the other commonly used medieval option. Which immediately makes me wonder what they used in the manuscripts I have been handling! Of red colour, and first of Brasill. Take quicklime poure rain water upon it, let it stand all night, in the morning poure the water softly from the lime or straine it through a cloath, & for a quart of water, take an ounce of Brasill, let it seeth till it be halfe consumed, then put into it one ounce of gum Arabike, two ounces of gum of a Cheritree, or else two ounces of cleane glue, straine it from the wood: you may likewise put into it some chalke beaten to pouder. What has occured to me is that the lack of stone moulds for casting pewter objects is partly due to the fact that metal moulds were used, and they would be recycled when they went out of fashion. Of course that still leaves plenty of small things to be cast using stone, and we know spoons were in the 15th century because of a mould fragment found in London. A small charger mould of brass, weight 80lbs, value 26s 8d at 4d per lb. A middle platter mould of brass, 54lbs, 18s. The moulds weigh a surprising amount, with 80lbs being about 36kg of metal, all for a mould to make a charger, although I’m not sure what one is, embarassingly enough. The middle sized plate mould is smaller, at 24.4kg, but that is a lot of weight for what is used to cast a kilogram or two of metal. Small saucer moulds weigh more like 16lbs, which is 7.2kg. So the moulds themselves would have been a few mm to, in places a cm or more thick, with a high heat capacity so you could cast into them repeatedly. The large mass is probably also to ensure that they don’t warp or change shape in any way during the casting. I suspect they would have greased the mould or dusted it with carbon black or sooted it with a candle, so that the pewter would release easily from it. Either way these moulds would have had a long life, and the total value of those in the workshop in 1427 was £16, which I think would be a couple of years wages at least! According to my source book (English Medieval Industries, edited by John Blair and Nigel Ramsay, published in 1991, 2001 paperback, absolutely essential for anyone interested in the medieval period and the industries that were big then), these would have been shared between two to six pewterers, which would at least help defray the cost of them. 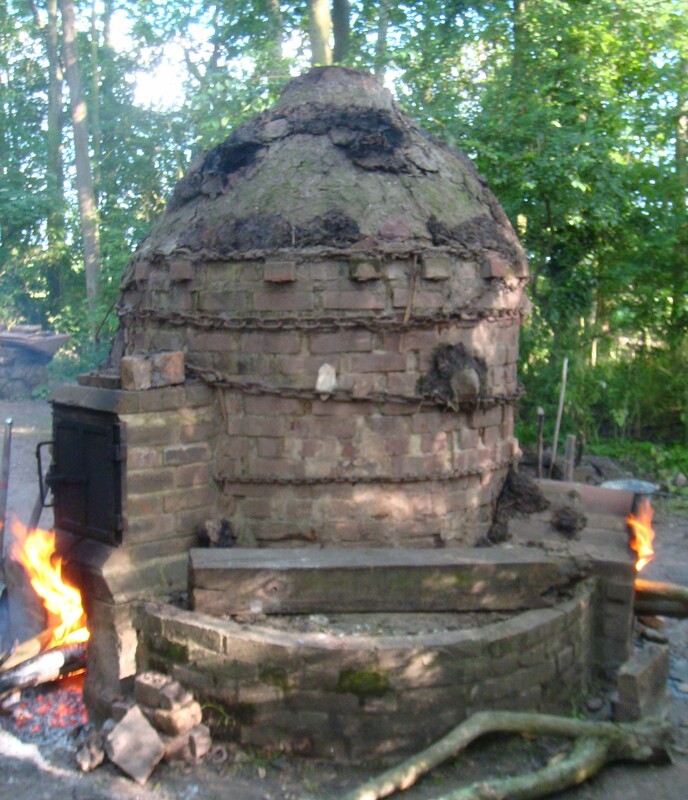 The pewter industry in London was huge, exporting large amounts to the continent in the 15th century, and there were pewterers in all the main regional towns, from Bury St Edmunds to BristolaSouthampton to York. You can read some of the book here on google books, which is worthwhile since the book itself now sells for silly money second hand. I sometimes think a new edition would be a good idea, but the basic framework will not have changed much, rather there would be more detail, e.g. on pewter and copper alloys more detail on the compositions and how they varied depending on the purpose. Anyway, getting some proper bronze moulds is a worthy project, and hopefully it will work out okay. Vannochio Birringucio, the late 15th/ early 16th century foundryman, wrote a book about all forms of casting and related work he had done and how to do them. It is important as one of the earliest comprehensive works left by an actual artisan, a real practitioner, rather than by some over educated alchemist. Biringuccio doesn’t like alchemists, and spends many pages excoriating them. Anyway, amongst much important and useful information, he mentions a number of different recipes for making moulds for casting copper alloys into. So I wanted to try wash ashes and clay, although it has to be said that Biringuccio is not very keen on the use of pure clay, preferring clay that has organic matter in it. Nevertheless I thought it would be interesting to see what pure clay and ash does. Fortunately I had a great deal of ash that had been washed already, in order to get the lye from it. What was left is a mix of calcium carbonate, various metal oxides, tiny bits of unburnt charcoal and anything else that isn’t water soluble, which means no potassium or sodium oxides. Mixing it all together was quite hard, but I ended up with a surprisingly smooth paste. When squashed flat, it held its shape well, the only problem was it’s lack of stickiness, so it was a little hard glueing the two halves together. I pressed a buckle into it to see how well it took the impression, the answer is that it does hold it rather well. I hoped it would leave a nice smooth surface on the finished product, since I want to try and match the very well finished medieval artefacts. In the end though, the casting didn’t work properly because the metal wasn’t hot enough to flow well. The small bit of metal that did get inside was at least quite smooth, but that was probably less to do with the mould material and more the fact it was so small it had frozen without touching the walls. So here it is, note the layers of white stuff that is ash which isn’t properly mixed with the clay. The inside is grey, due to lack of oxygen, and the outside is red, due to the iron in the clay. The larger piece shows the inside of the mould, with the curve of buckle at the top left; the piece at the top right is a through section of it. It worked, and I think in the future I’ll try using more organic rich clay and see what sort of result that gives. In fact I need to experiment with the sort of clay you find in rivers anyway, fortunately there’s a good source not far from me. Stay tuned for more secrets of the medieval foundryman. Looking at the Portable Antiquities Scheme database, http://www.finds.org.uk, I was struck by the distribution of the numbers of pewter and copper alloy medieval buttons. There’s about 400 that are copper alloy (I say about, because some non-buttons or non-medieval ones slip into the sorted lot) versus about 14 pewter and 18 white metal or tin. So from this you might think that in the medieval period copper alloy ones were 12.5 times more popular than pewter or tin ones. I can think of a reason or two why they would be more popular – they would, if the correct alloy, not discolour too easily and I imagine this would actually be important – you don’t want dark streaks of lead on your nice clothing. Strength is probably less of an issue, since buttons are held on by thread which would surely break before the button loop even if it was made from lead. Meanwhile, at re-enactment events, pewter buttons are far more common than copper alloy ones, maybe 12 times more popular or more. In fact I can’t think of when I last saw someone wearing some. The reasons for this are to do with the relative cheapness and ease of manufacture of pewter objects compared to copper alloy ones, and of course modern ones are mostly tin and don’t corrode as much as medieval ones would. Of course in medieval times it was as easy to make pewter ones as now; pewter or tin is much more easily cast, into easily carved stone moulds (Not that I’ve heard of any button moulds being found) than bronze. So in re-enactment terms, people are going with what is cheaply and easily available, rather than what is accurate. I’m a bit guilty of that myself, with 2 lots of pewter buttons on clothing. I need to make some bronze ones, but the lost wax attempts didn’t work well at all because I messed up the casting. Then if we turn to some of the more readily available books of medieval finds, such as the Museum of London dress accessories 1150-1450, we find 8 pewter and 12 copper alloy. Also a pewter one that is hollow and 7 copper alloy which are made of sheeting or other complex method. In the Salisbury and South Wiltshire museum mesdieval catalogue, there’s 5 pewter buttons listed (although I suspect one or two aren’t buttons) and no copper alloy. One copper alloy button is mentioned from the Deansway, Worcester excavations. And for comparison the museum of London book of the 1450-1700 excavations from Southwark lists similar numbers of 16 and 17th century buttons made of copper alloy and pewter as their earlier book. So a predominance of copper alloy, but not by very much. Why this massive difference in dated quality excavated finds from towns and generally random countryside detector finds? Of course a discrepancy between metal detector finds and excavation finds is to be expected, because of the sampling issues. Basically excavations usually get to sample only part of the medieval/ Tudor area and period, so get only a slice of life. It’s a bit like someone is digging and finds the remains of a shoe,a Nike trainer, which indicates that people in the late 20th century wore such shoes. Nearby, they also find a pair of brogues. So obviously men in the late 20th century wore brogues or trainers? But would you find a few hundred pairs of trainers to one of brogues, well probably not, because many wouldn’t survive. But trying to draw any conclusions from that as to what was the most common would be silly. On the other hand once you have hundreds or thousands of examples such conclusions can be drawn using statistical methods, but that’s a more complex post requiring more work so don’t hold your breath waiting for one. Although thinking about it more, the metal detector finds should give a more representative sample, because of the hundreds of examples, and the more samples the better. Once you have enough you can start doing statistical analysis, especially if you assume that the deposition is effectively random, and importantly, that there’s no difference in deposition rate between pewter and copper alloy buttons. And why would there be? They’d be attached the same way, and they would fall off into long grass or mud the same way and not be found in the same way. So theoretically the differences in aggregate number of finds is probably more representative of how common they were in everyday life. Ultimately though, with buttons we can’t even say how many of them were produced and how popular they were over 200 years, so we can’t really estimate how frequently they should be found. Plus a lot of metal objects were recycled in the centuries afterwards which reduces the population of surviving objects and probably skews their distribution. 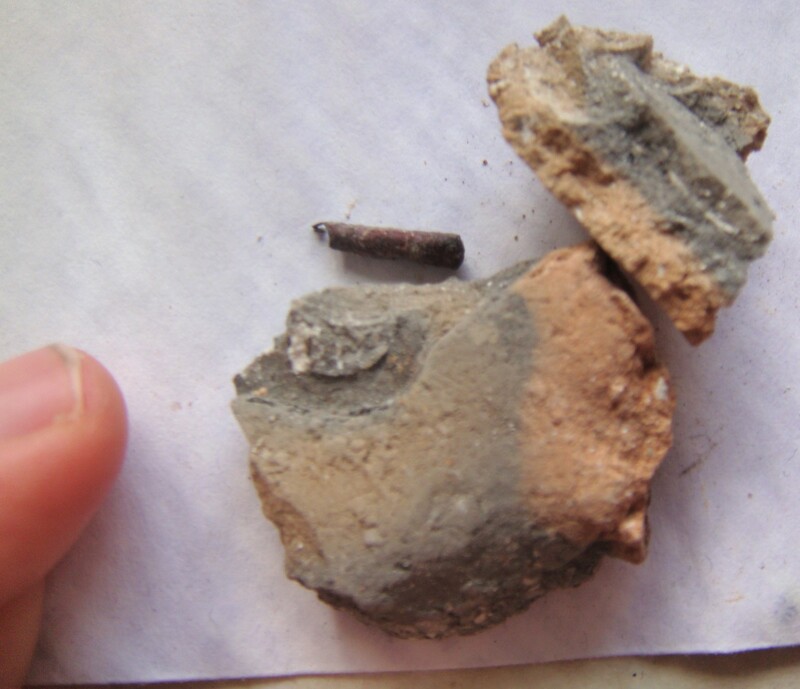 I suppose it might be possible to compare them to other types of finds, e.g. there’s 16,896 medieval buckles, showing just how more common they were than the butttons, a ratio of 39:1, which isn’t as high as I would have thought, but again, we have so little evidence to base any estimates on. Another question is the manufacturing method. Pewter buttons were definitely made in 3 part moulds, and I’m working on a new button mould myself right now. But the copper alloy ones don’t have such a clear cut manufacturing method, so I need to do some more experimenting. I suspect they might also have been made in stone moulds or really well made clay, loam and such moulds. We’ll have to see what works.